Ok, so I’m proud to say that I think I’ve got the first (of what might be many) TEasy Strike + SparkyPWM + Arc Eye 2 set up complete. 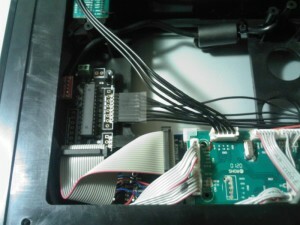 However, there’s a slight mod that’s required in order for this set up to work. 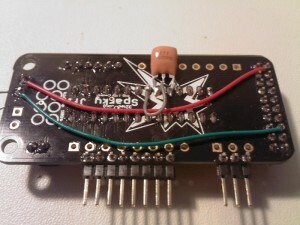 32teeth is already working a plan for how to allow people who don’t have soldering abilities to make this mod happen. This mod is only required for 20P ribbon cable powering (via TEasy Strike). This is also being taken care of in the next version of Sparky from what I understand. 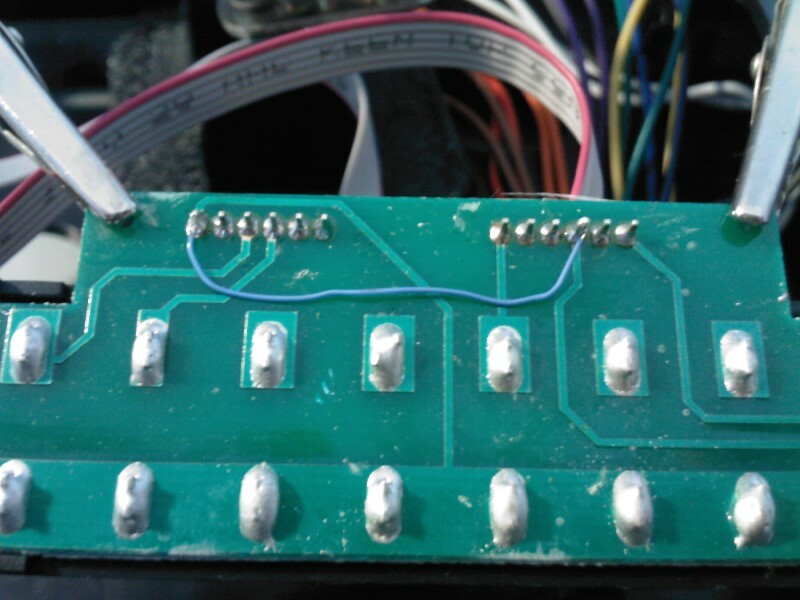 That’s the power signal from the 20P header being patched to the main screw terminals, It’s also required to do the same for the Ground position (Pin 15 of the 20P header). 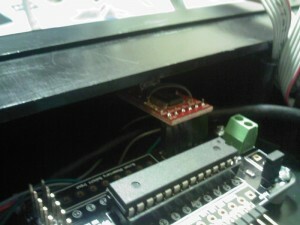 I snagged a picture of just the 1 wire (VCC), but there needs to be 2. 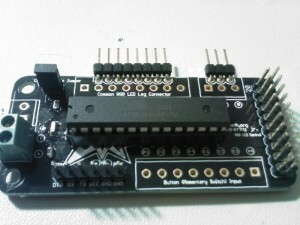 The SparkyPWM mounted, the Basic Breakout board was populated with a 6 pin female header for modular connectivity. If I ever want to remove it I can. The connected wires are for an advanced modification (shown below). The only difficulty now is closing the top panel, the right side of things is rather spongy with wires, even keeping them as neat as I can. 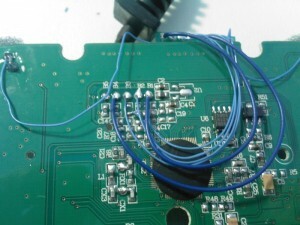 I may eventually get rid of the ground wires from the QDs and daisy chain just 1 ground connection to alleviate some stress, but for now it works. Now to the advanced mod. 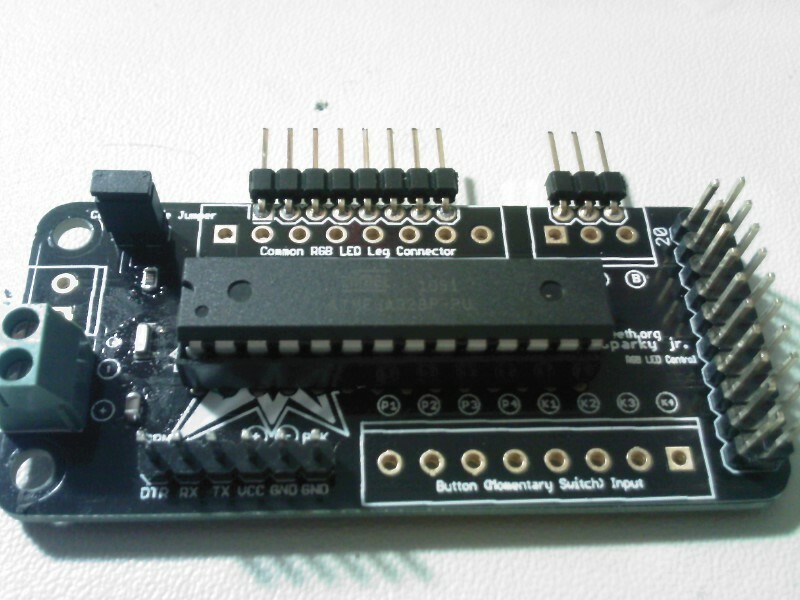 The FTDI serial to USB adapter is required for sparky configuration and firmware updates. Well…I didn’t want to have to plug in a second cable every time I wanted to configure, so I went for a single cable full operation. I did this by expounding on the data lines, both the FTDI USB data lines, as well as the TEasy Strike’s USB data lines run to an Imp board, which is controlled via the RS switch. 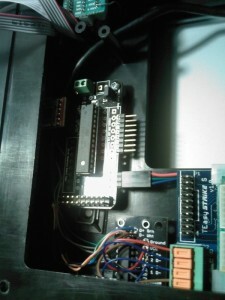 When RS is activated, I’m in FTDI mode and can configure the SparkyPWM. I’m currently running into some weirdities with configuration, but I’ll get those sorted soon with the help of 32teeth. 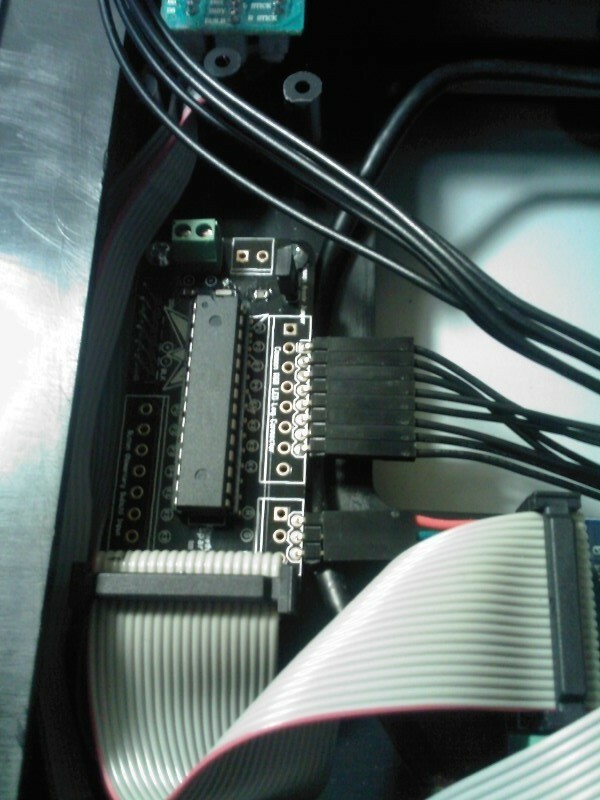 I also put a piece of tape on the 1x pins for the AE2’s, this is so that I can remove them all at once, and put them back on all at once without having to re-figure out which goes to which button. Hope this helps get an idea of what’s to come. I ran into an issue with my SparkyPWM, 32teeth and I have been discussing why this might happen but in the meantime I’ve got a workaround for anyone who experiences this issue. After about 30 minutes of play the SparkyPWM v1 seemed to have died on me, it turns out that the resonator (tiny chip at the front of the board that creates the clock signal) had died. 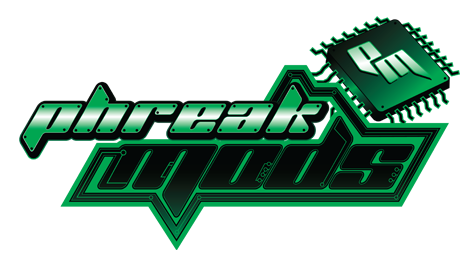 We’re not 100% sure of what caused it, but 32teeth is adjusting and moving to a new package for the resonator that I’ve suggested. For now, I’ve currently got this in my set up, the set up works like a champ now, no problems whatsoever. I removed the old SMT resonator and replaced it with this THT resonator, and if you do this just get any like this that run at 16 Mhz. 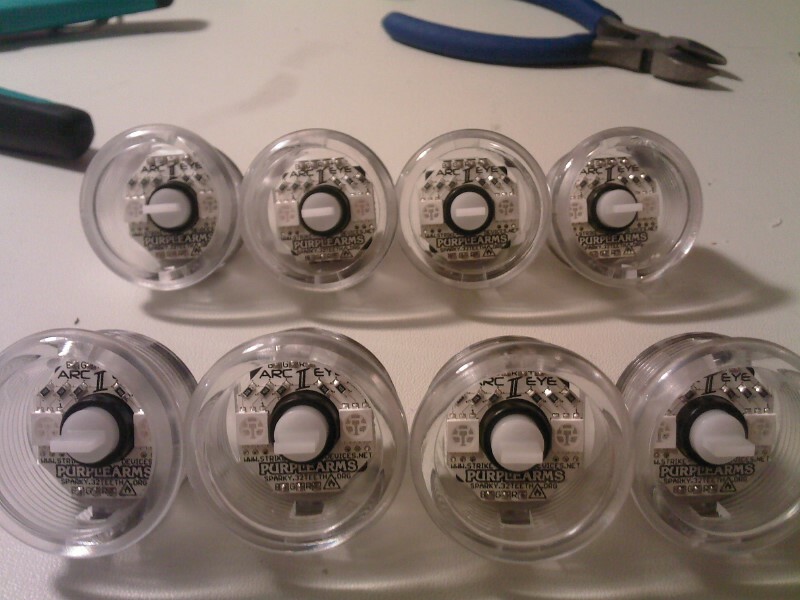 This style of resonator is built like a tank, and if you’re searching on digikey or something just make sure you get a 16 Meg version with internal capacitors, you should be OK. I have something a little interesting to post about at the moment. These two things stem from issues customers of mine have had. Neither issue is caused by my product in the least, but it’s things that may come about while owning a 360 TE and it might be interesting to know a workaround to these issues. First up is a dead button or joystick signal, and by dead I mean acts as though it’s constantly pressed. I had a customer tell me that LEFT was always active, and I couldn’t explain why until I had him take some voltage readings. 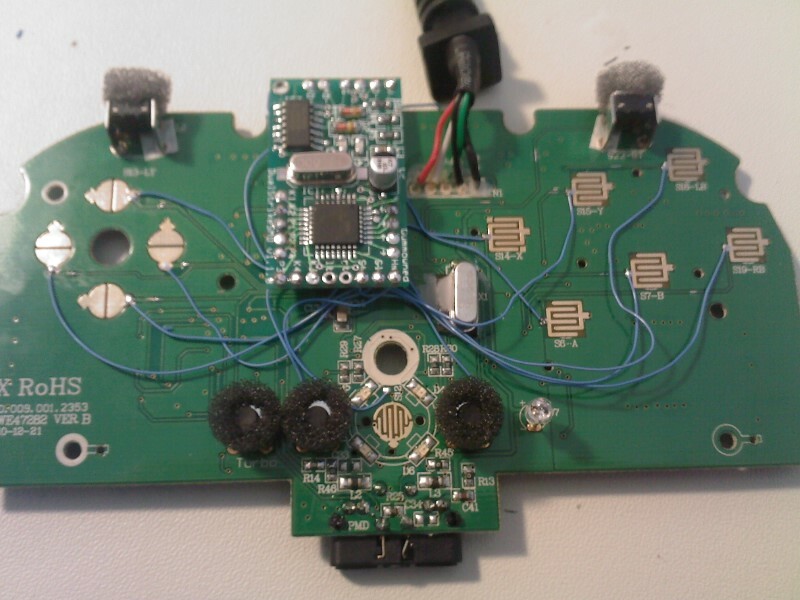 It turns out the 360 PCB’s LEFT circuitry was damaged or dying, because the voltage on that signal alone was less than the others. This can be caused by a few things, but in the case of a simple game controller, it’s more than likely the MCU internal pull up acting up. 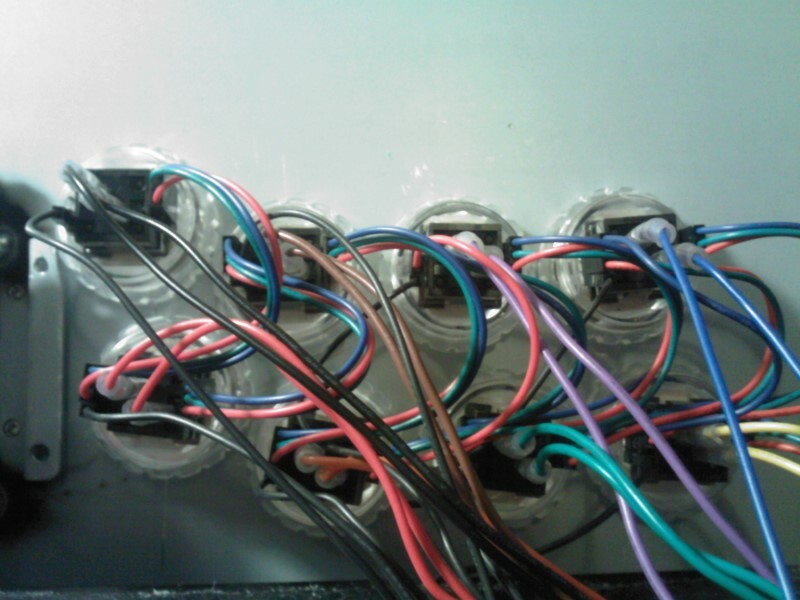 I took those readings as a confirmation, the LEFT pull up on the 360 side was damaged in a way that it wasn’t drawing the voltage on the line up enough, and when connected to my board, the added pull up increased the voltage a little bit, but not enough. 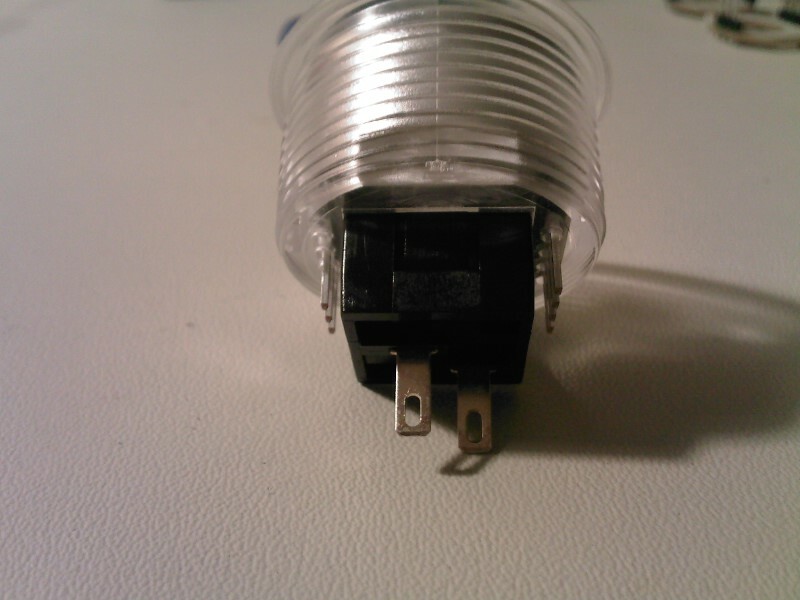 As a matter of fact, it drew the voltage up enough to behave normally on the 360 side, but the PS3 side didn’t like the lower voltage. So I needed to come up with something he could do to draw it up enough for both sides to be happy. 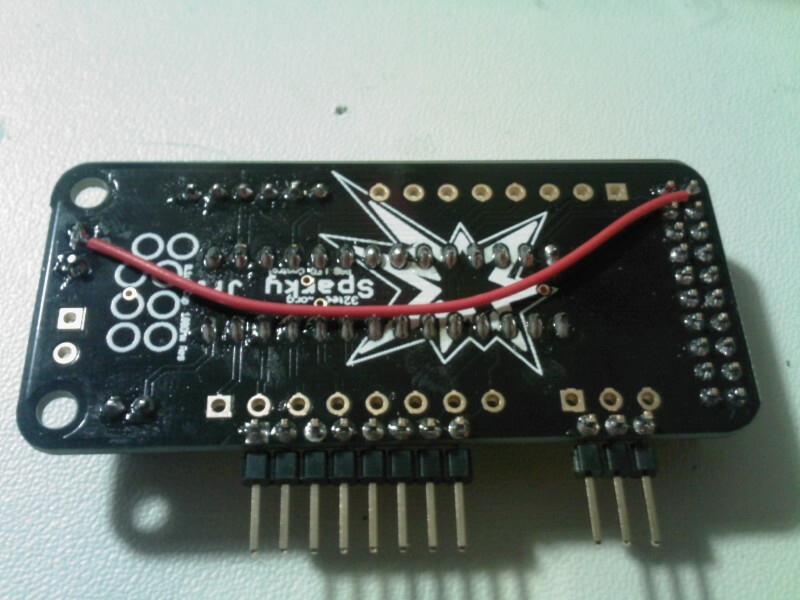 I scratched my head over a way to fix this in a way that wouldn’t require soldering. He had purchased TEasy Strike, and wasn’t comfortable with soldering at all. Then it hit me, I remembered seeing that people used to be ok with shoving bare wires into the connectors and do a ghetto solderless connection. 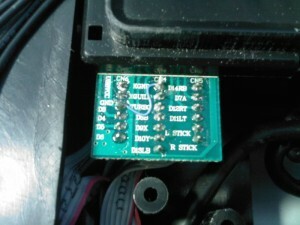 So I sent him the information, and told him to go to Radio Shack or Fry’s and grab a 10k Ohm resistor. He was going to shove one end into the LEFT position of the joystick connector, and the other in the closest access to the VCC line available. Ignore the band color of the resistor, it’s a 220 Ohm and was only used as an example, if you try this DO NOT USE A 220 Ohm. 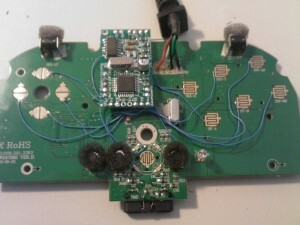 At any rate, this worked, and it was able to bring the voltage up to a level that both the PCBs were happy with. 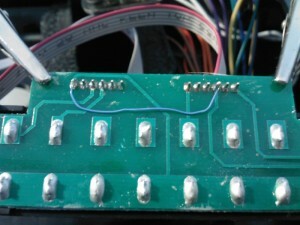 The 10k was still too high, so eventually he used a 4.7k Ohm, but the fact remains that this might be a good fix if you find that one of your buttons or directional signals is magically “dying.” The reason this works is because the internal resistors on MCU’s are generally very high in resistance (100k or greater at times, otherwise known as “weak pull ups”), so the lower resistance added in parallel allows for a stronger current pull, which in turn brings the voltage level up. The second thing is something a little strange, but might be very helpful for some people. 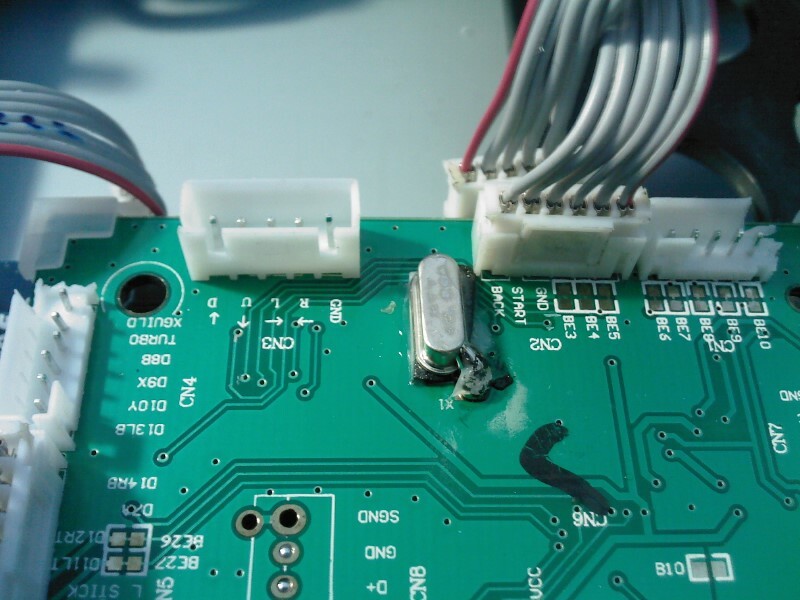 I had a customer who blew out the PCB of his SSF4 stick, and unfortunately when he was able to attain another one from Madcatz, they sent him the wrong version. 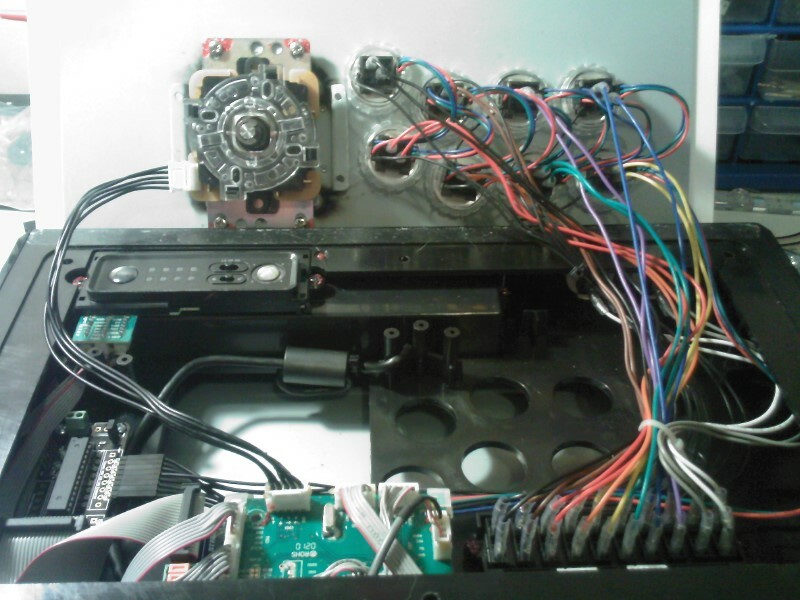 They sent him the PCB for a Round 1/2 stick, which lacks certain things such as the added KGND (assuming it means Kill Ground), which adds the lockout option to the Start and Select lines, as well as the HOME. Now, round 1/2 PCBs are MUCH easier to come by these days than the Super versions, so I used this opportunity to see if I could retrofit the TE-S stick to work with these older PCBs. Eventually, all I really had to do was connect the KGND and GND on both the control panel and the quick disconnect terminal section. Other than that, it was a matter of cutting off the shrouding of the headers on the PCB in the sections where Microsoft extended it by 1 pin for the KGND signal. Now the grounds are connected entirely, and the cables go where they originally went. They just hang off the shrouded headers by 1 spot, but since that spot is GND/KGND it doesn’t matter as they’re already hacked together in other places. The ONLY downside to this hack is that you will no longer have the lockout functionality. 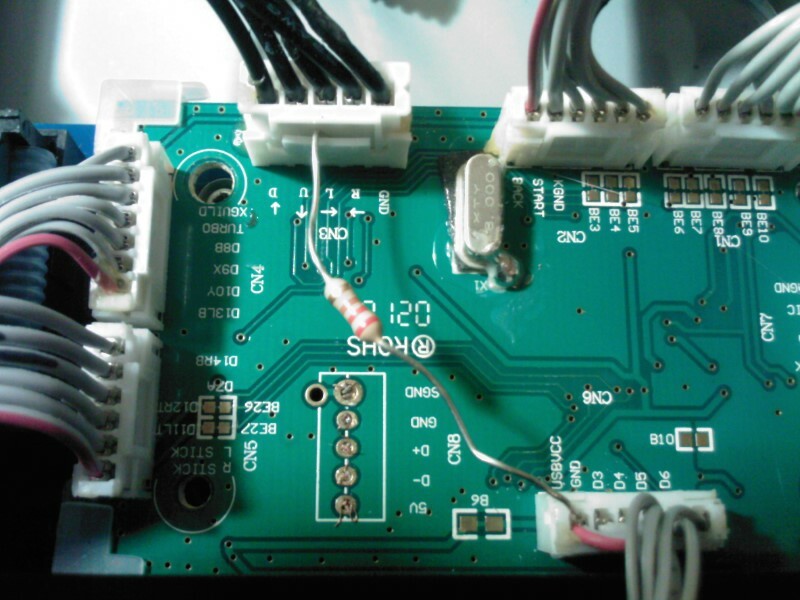 However, if you’re hard pressed for a PCB and have no way of attaining a replacement for your TE-S this might be something you want to explore. All it takes is a few solder joints and a few snips of wire cutters and you’re done.